This post contains affiliate links. Is this just me or does anyone else seem to have a little style wobble whilst we are amidst the lengthy seasonal crossover weather? It's like I don't know where to start with the new season. I made one or 2 spring purchases just before I started the personal styling course and when I learnt about my 'natural' style personality suddenly everything just clicked into place. I'm on a roll now. I feel like I'm nailing my style personality. 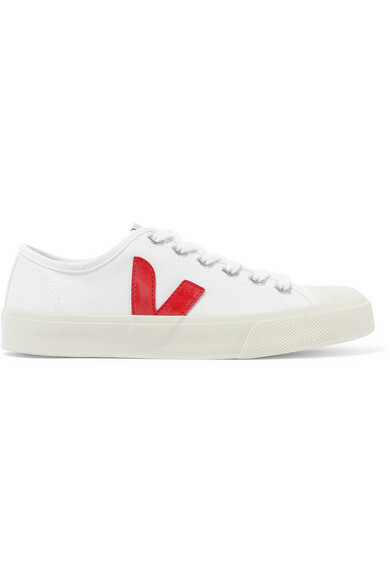 I wore these Veja's on the first day of the course and they are fast becoming the linchpin of my outfits.....they are game changers I tell you! Next up is an influenced purchase.....as I've said many times before Emma Hill has a lot to answer for! She knows her stuff and I totally trust her recommendations! These have not disappointed. Do watch her Youtube video here on her favourite denim. 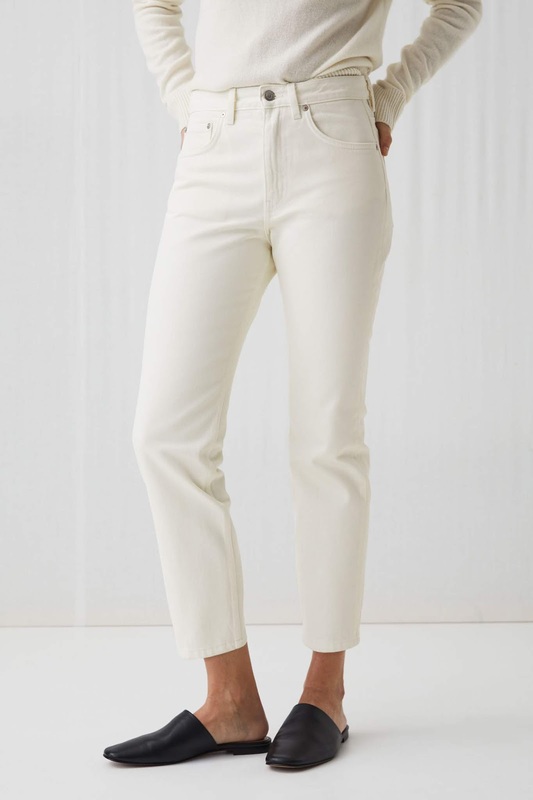 I sized up on these (as per Emma's tip) and bought a 29 instead of my usual 28 waist. All I can say is that they are flipping awesome. I will be investing in these in other colours. And so onto an outlet purchase that I also made just before I started the course. It's hard to describe just how much I adore this. I think it's going to be another cornerstone in my spring wardrobe. A natural style personality is all about less is more....no fuss, comfortable clothing. This shirt undoubtedly fits perfectly into that category. I feel I need to inject a little bit of newness into my jacket collection in preparation for some slightly warmer weather. I'm a real advocate of the shackett, it's the perfect piece of transitional outerwear. 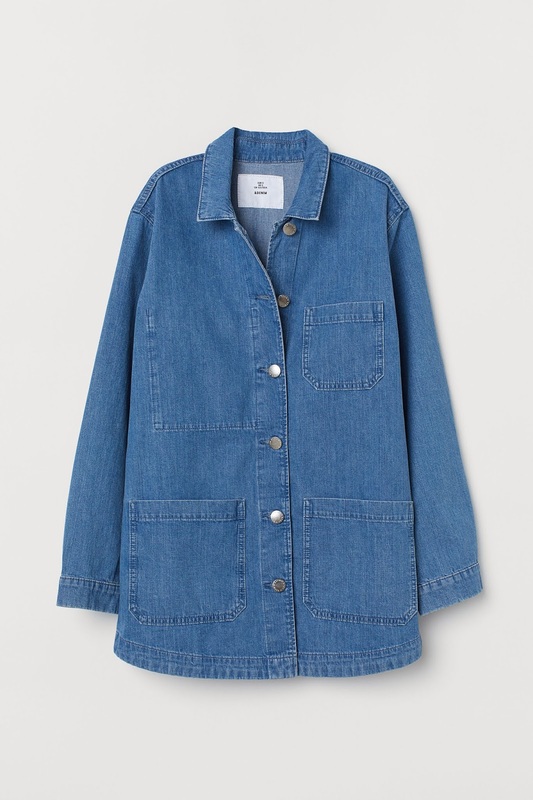 I'm embarrassed too admit I already have 4, all slightly different.....meaning I couldn't resist this denim one! There's bit of a theme here isn't there? The new pieces all have a bit of a utility feel. That's definitely a current trend but one I don't need to invest too heavily into as these bits all compliment stuff already in my wardrobe. They are all great foundations to build on as well though. I think these 3 outfits from last week really represent my style personality. What's up next? Anyone in need of something for a special occasion? Got a wedding or christening coming up? I've found a few pieces that I love......I will share tomorrow. I think this is a really refreshing and honest article. I have always loved your posts but I must admit have switched off from a lot of people who I used to follow because of the #ad comment before each article. If I see this on Instagram posts iI tend to scroll past. There are two very well know bloggers who I have followed for ages. Both who i recently unfollowed after several years of loving their posts. The adverts have become thick and fast and whilst people do make a living from it I have started to follow much more low key instagrammers. Maybe the bubble is bursting? People becoming victims of their own Instagram success. I still love Instagram but have definitely noticed myself reaching for it less and less. Michelle - keep doing what you're doing... your blog is so down-to-earth with clothes that are affordable, high street picks - and most importantly its not always about the particular item of clothing but the type of clothing and how you put things together that really help me dress better (if that makes sense!) thank you. I choose to follow - on instagram or blogs - people whose photos show the sort of clothes I like to wear. And stick with them so long as they write interesting/kind/funny/not-too-show-offy captions. It matters less to me whether a post is sponsored than whether the woman wearing the clothes has her own style and is enjoying it. You have. You seem to. I hope you go on enjoying it because I enjoying reading and seeing the pictures. Loving those trainers! And I’m excited about reading your blog. I love your IG account but am excited to read more! And, not that you need reassurance from a random stranger...but I think you’re fabulous!